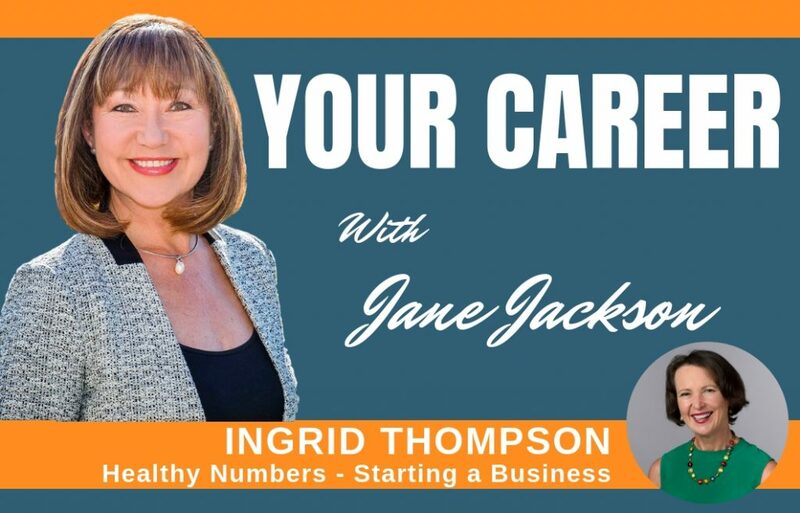 This episode of Your Career Podcast is a special one as I’m delighted to interview Ingrid Thompson, Founder of Healthy Numbers. We have known each other for a number of years, and I’ve always been impressed with how she has transitioned so successfully from a corporate career into entrepreneurship. Ingrid has made a number of career transitions from hospitality to manufacturing to airlines and insurance, before transitioning into business owner and entrepreneur. How did she do it so successfully? In this episode we have a fascinating chat about her journey and also her business, Healthy Numbers. Ingrid is a Business Mentor, Coach, Author, Podcaster, and Founder of Healthy Numbers and host of ‘So You Want to Start a Business’ podcast. She specialises in small business start-ups, helping them set solid foundations while ensuring they are under no false illusion about cost and commitment. Ingrid has a particular passion for working with health and wellbeing professionals. They are extremely good at what they do yet rarely have the opportunity for business acumen training and education. She is also the author of “So you want to Start a Business! The 7 Step Guide to create, start and grow your own Business.”In which she takes the complex and makes it simple and easy to understand. Listen to our conversation, and learn exactly what is involved and how to take that crucial first step, PLUS the common mistakes most people make when they are just starting out with their own business. 1. How hard it is, and how long it takes. 2. You are the Manager of Everything and sometimes this is pretty overwhelming. 3. You must get the pricing (and the numbers) right – and it’s not as simple as you think!